The truth is that finding a good natural alternative to Adderall is hard work. This is because there’s nothing on the open market that even closely resembles the amphetamine-like energy boost and motivation that Adderall provides you with. With that being said, there are 7 over-the-counter substitutes that can give you somewhat of an “Adderall kick” – without all of the harsh side effects that traditionally come with using Adderall. I’ve personally used Adderall on numerous occasions. Adderall can be a gritty, potent, and effective tool for managing ADHD symptoms. 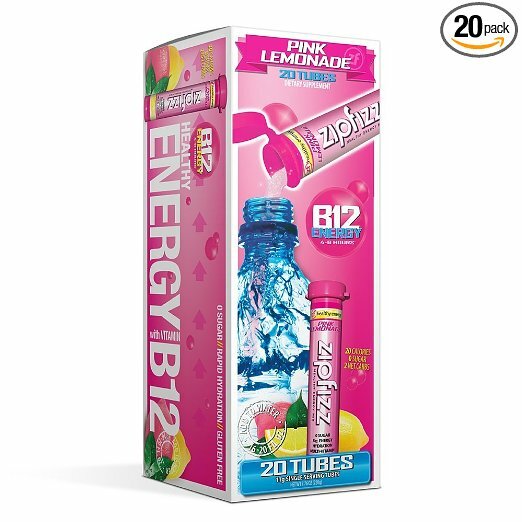 Zipfizz Healthy Energy Drink Mix (Amazon) packs the most powerful punch on this list. This is because Zipfizz floods your body with vitamins, nutrients, and caffeine. Simply pour a tube of Zipfizz into a bottle of water, give your bottle a quick shake, and drink. Zipfizz actually tastes pretty good too. So, you’ll be able to knock this drink back pretty quickly, and feel a sudden burst of energy and focus. I used to drink Zipfizz all the time when I was in college. I’d use it for studying, exercising, and taking tests. And, I still love the quick burst of energy that Zipfizz provides. If you’re used to taking Adderall, then you’ll probably appreciate the slightly “gritty” and intense stimulation that Zipfizz provides. 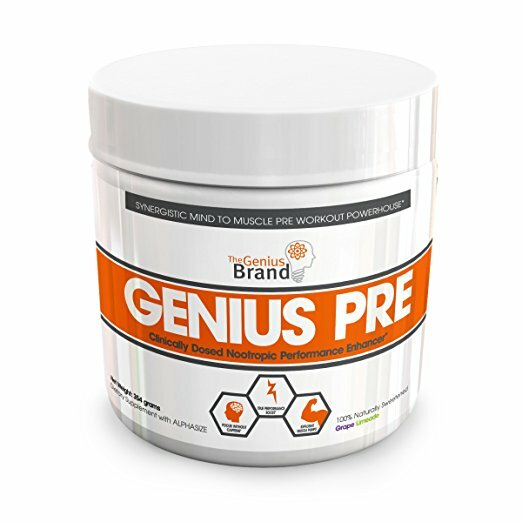 Genius Pre (Amazon) is technically a stimulant-free pre-workout powder. But, you don’t have to use Genius Pre for exercising. Many people actually use Genius Pre to focus on schoolwork, career work, housework, and various other energy-draining tasks. As an added bonus – you can also use Genius Pre for exercising, if you like. But that’s definitely optional. For the most part, Genius Pre makes for an excellent Adderall alternative, because it provides you with clean mental focus, and doesn’t make you feel jittery in the least bit. Again, this is a stimulant-free powder mix. It doesn’t contain any caffeine whatsoever. But, this is why Genius Pre is an excellent option for people who want energy and focus without the jitters and crashes. 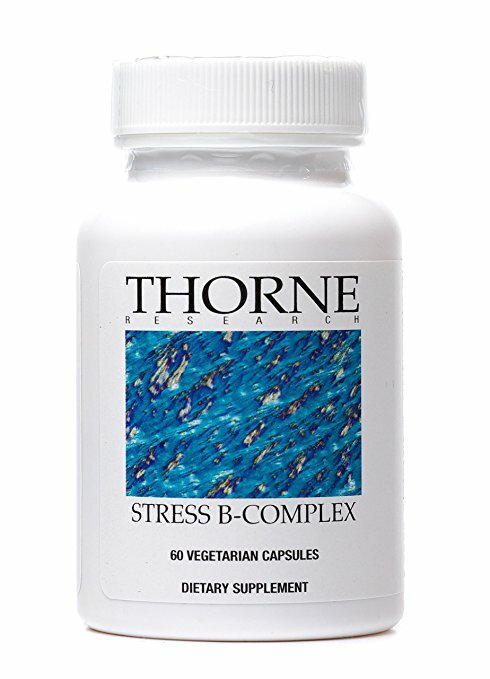 Thorne Research Stress B-Complex (Amazon) is one of the highest quality b-complex multivitamins on the market today. This is because Thorne Research only uses raw ingredients in their supplements, and has strict quality control processes in place to ban Generically Modified Organisms (GMOs), artificial preservatives, gluten, and similar ingredients that people with ADHD should avoid. So, if you’re looking for high-quality energy, then you’ll probably want to invest in Thorne Research Stress B-Complex. Many people use this formula to fight fatigue, improve energy levels, boost mental clarity, and reduce stress. This is also a great formula to take if you’re interested in healing adrenal fatigue – which is an extremely common condition that many Adderall users must confront at some point. Just make sure to take this formula in the early morning, or else you might find it difficult to fall asleep! PureClean Organic Beet Juice Powder (Amazon) is one of the healthiest alternatives to Adderall that you can take. In case you aren’t familiar with beets, they’re one of the all-time best superfoods for ADHD. By consuming beets, you’ll flood your system with nitric oxide, improve your body’s blood flow, and feel a powerful rush of mental and physical energy. But, preparing beets the traditional way can be a time-consuming process. So, it definitely helps to have a convenient and American-grown source of organic beet powder on hand. 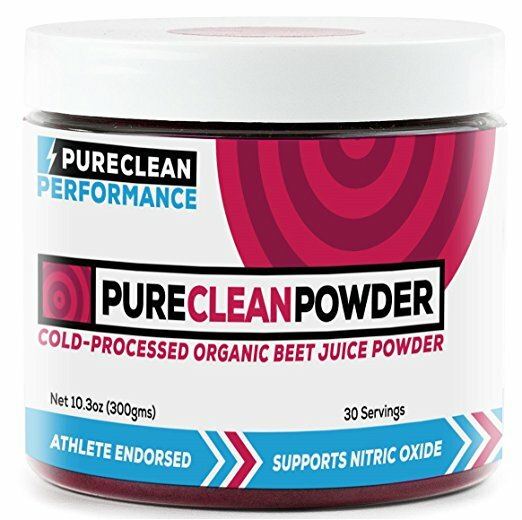 The PureClean Organic Beet Juice Powder contains 30 full servings. You’ll be able to try this powder out for an entire month, and see how you feel afterwards. And, after one month of consuming organic beet juice powder every day, I’m willing to bet that you’ll experience much greater energy and mental clarity. 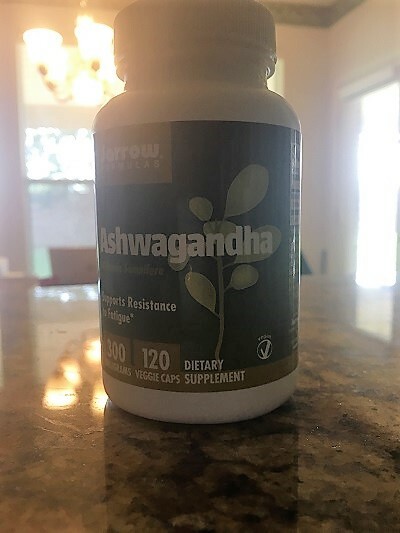 Jarrow Formulas Ashwagandha (Amazon) is the best source of ashwagandha that I’ve tried. Ashwagandha is my favorite adaptogen of all time. Adaptogens are natural herbs that improve your body’s hormone levels. The cool thing about adaptogens like ashwagandha is that they can increase or decrease your body’s hormones, depending on your body’s unique needs. If you feel like you lack energy and focus because your endocrine system is out of whack, I strongly recommend that you try using ashwagandha to bring your body back into a state of balance. I take the Jarrow Formulas brand of ashwagandha on most days of the week, because Jarrow Formulas Ashwagandha contains a patented KSM-66 variety of ashwaganda root extract. This ensures that the quality of ashwagandha used in this supplement is consistently good. And, I especially like supplementing with ashwagandha whenever I don’t get enough sleep. If I don’t sleep well at night, I’ll take a single capsule of ashwagandha in the morning, and I’ll usually feel 100% better within 45 minutes. Genius Caffeine (Amazon) is the “cleanest” source of caffeine that I’ve been able to find. If you’re used to the strong physical stimulation that Adderall provides, then you’ll probably appreciate a nice jolt of caffeine. So, Genius Caffeine delivers 167 milligrams of natural caffeine, which is approximately the same amount of caffeine found in one and a half cans of Red Bull. 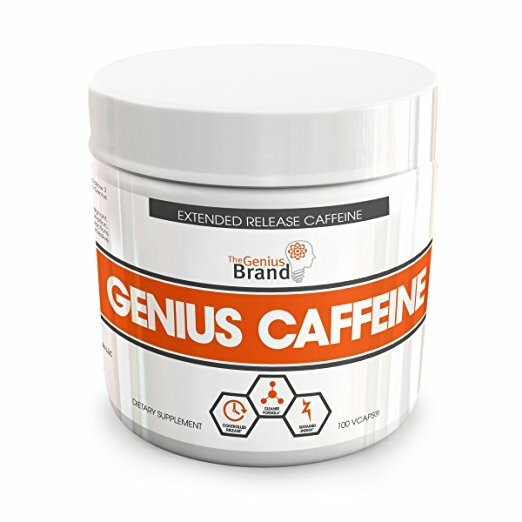 Best of all, the natural caffeine in Genius Caffeine is part of a sustained release formula, which helps you stay mentally sharp for about 3-4 hours. You can take 1-2 capsules of Genius Caffeine at a time – up to 3 times daily. This means that you can use up to 6 capsules of Genius Caffeine over the course of a day. Just make sure to spread out your doses, and drink plenty of fluids if you decide to supplement with Genius Caffeine! Guayaki Yerba Mate Organic Tea (Amazon) is one of the most mentally stimulating teas that you can drink. I actually prefer drinking yerba mate over coffee, because yerba mate greatly improves your sense of focus, while also reducing anxiety at the same time. Yerba mate only contains 40 milligrams of caffeine. But, yerba mate also contains various vitamins, minerals, amino acids, and antioxidants. The health benefits of yerba mate are actually pretty outstanding. Yerba mate is frequently used to improve happiness, fight fatigue and depression, boost the immune system, and so much more. Yerba mate is ultimately one of the most powerful natural teas that you can drink. This makes yerba mate a healthy, tasty, and effective alternative to Adderall. So what’s the best natural alternative to Adderall? Every item listed in this article serves a purpose. So, the best natural alternative to Adderall for your unique lifestyle might include one supplement, three supplements, or more! For example, some people want an immediate burst of energy. If this sounds like you, then I recommend trying Zipfizz (if you enjoy stimulants) or Genius Pre (if you don’t want to use stimulants). But, if you’d prefer to take a 100% holistic approach to improving your mood, focus, and energy levels – then I recommend experimenting with Thorne Research Stress B-Complex, Jarrow Formulas Ashwagandha, and Guayaki Yerba Mate. As you can probably tell, most of the items listed in this article can be used synergistically as part of a “stack”. So, it’s entirely up to you to experiment with the natural Adderall alternatives that work best for your brain and body. Just make sure to monitor your caffeine consumption closely, and “listen to your body” to see how you respond to certain ingredients. It’s also well worth chatting with a doctor if you have any questions about using certain supplements in combination with your current diet, medications, exercise regimen, or lifestyle. If you truly hope to improve your ADHD symptoms for the long-term, then you may want to chat with a doctor, and acquire a prescription for Adderall, Vyvanse, Adderall XR, or a similar top tier ADHD medication. I personally believe that using ADHD medication in combination with holistic remedies usually provides people with ADHD with the best of both worlds. I’ve actually written an entire article about the differences between using natural ADHD treatments vs. ADHD medication. Make sure to read that article if you’re interested in learning about the vast differences between these two ADHD treatment options. Either way, when it comes to managing ADHD symptoms, it’s always a good idea to get plenty of exercise, sleep well at night, eat healthy foods, and drink adequate fluids. Because, improving your life with ADHD is ultimately about living an all-around healthy and active lifestyle. But, if you’d prefer to consume some naturally-stimulating ingredients for the time being, this list of 7 natural alternatives to Adderall should still satisfy your Adderall cravings. And, for even more natural brain-enhancing ingredients, make sure to check out my article on the best natural alternatives to Vyvanse. I know there are plenty of people out there who are interested in quitting Adderall. And, I know that many people are simply looking for healthier alternatives to Adderall. Do you know of any other Adderall substitutes that genuinely improve your life with ADHD? 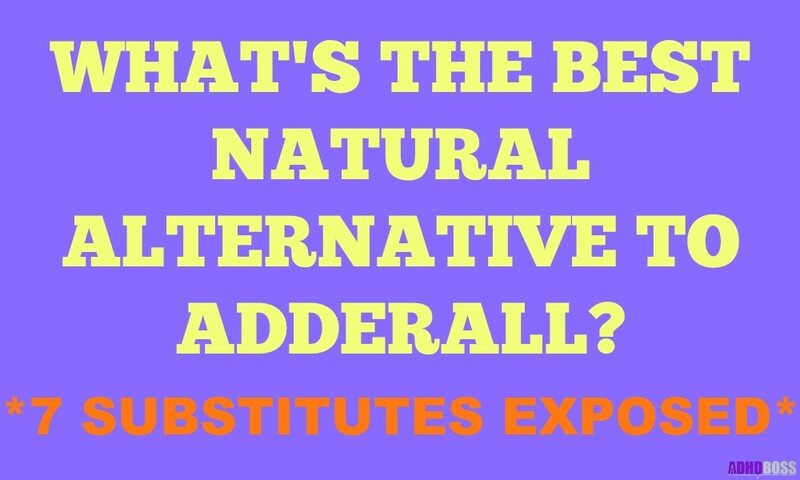 Yes, I know that it can be extremely difficult to find good substitutes for Adderall. But, there are definitely some products out there that work. Make sure to leave your comment below, and let me know about your favorite Adderall alternative. Really useful articleI just bought some Ashwagahnda, recommended for adrenal support by my rural health food store. Im glad to see it mentioned here. I also love Thorne’s B Complex. You named most of the alternative/supplements to traditional treatment that I use or know of, so far, plus several new to me. I don’t know if there’s research on it, but I find a high dose of Vitamin D to be helpful with energy and overall wellbeing- but that might be more related to living in Oregon. I didn’t know about beets, but they’re one of my fave foods so that’s pretty interesting- I crave them hard in the winter. I also love Matte, but didn’t connect that it might help with ADD brain. The only other things that seem worth mentioning that l use arent technically supplements, but helps as much as any medication, are essential oils and mindful living in one form or another (I’m sure you and your readers are familiar). Mindful meditation- even 1 min of intentional breathing- and 20 minutes of cardio works better than any pill I’ve ever taken- but since I have a typical life that doesn’t allow me to exercise and meditate 10 hours a day, I rely on a combo of meds and supplements. It’s like you said, there is no one-pill magical solution. ADD/H requires a treatment cocktail of multiple supports, personalized for the individual’s specific expression of symptoms. I’m just glad I found your site. It’s the all around best peer support style site I’ve found (for me). Thank you! I think you’re going to enjoy the ashwagandha because it’s truly amazing for adrenal support and hormone regulation. Yup, taking a high dose of vitamin D is one of the absolute greatest things that people with ADHD can do. I do the same thing here in Texas, even with plenty of sunshine (I work indoors lol). And yes, essential oils + mindful living is another awesome strategy for living a better life. It seems like you’re really in touch with living a high-quality life, Suzi. We practice a LOT of the same supplement habits and techniques. Meditation, breathing, and cardio are all amazing too. We’re all just looking for positive results at the end of the day – and yes, personalization is a must. I’m happy that you enjoy the website! This website is made possible by readers like yourself, who leave awesome comments, and aspire to live a fulfilling life even with ADHD. I wish you the best of luck going forward. What would you recommend for a young adult in high school, he currently is Adderall which I have come to find out is good for him in one way and not so good in other ways. We are really in need of an alternative. Hi Rodney. I totally agree with you about Adderall. It’s a mixed bag IMO. Lots of massive benefits, with some downsides, too. Here’s the tricky thing: nothing is going to work as well as Adderall for your son. This is the truth. But, there are some “alternatives” that I’ve listed in this article that provide mild feelings of well-being and focus. Hello ADHD Boss, recently I got into using vyvanse and the adderall family. The issue is I am having heart problems while using these drugs. I need these drugs for work and school. And as such I definitely would like to continue use. The last time I use adderall my heart was pumping so hard I went to the ER(called a cab). They did nothing for me and I just walked. Since then, Ive had a pain in my chest area. I believe it’s called arrhythmia. And while this is happening I am not using anything because I dont want to risk another episode. What do you recommend to lower the side effects and improve my heart? Gerrardo thank you very much for leaving your honest thoughts on here. While I would honestly love to help you out, I’m just not qualified to give that kind of medical advice. I recommend speaking with a Naturopathic doctor. She or he will be in the very best position to help you out. Promise. 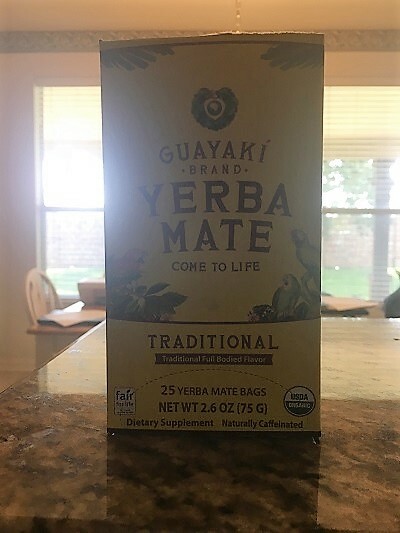 i have tried most of the ones in this article after reading it and so i won’t talk about these too much as they’ve been very well covered except to say that of all the ones i’ve tried in this article, yerba mate is my favorite. it is exactly as you describe; clean, non-jittery energy that i enjoy more than caffeine. i have tried so many other vitamins/herbs/supplements too. there is a supplement that isn’t on this list and i’m not even sure it is on your site, though i just discovered this place a couple of months ago and can’t tell you how much i enjoy what you have done here. ok, so i lied. there isn’t 1 supplement; there’s 2! the best natural treatment i have tried for adhd is ginkgo biloba. it is nothing short of amazing. ginkgo actually increases dopamine in the frontal and prefrontal cortex in the brain, the area of the adhd brain that doesn’t receive enough dopamine and that stimulant medication targets by, yup, increasing the dopamine there. it works so well. until i tried it, i though rhodiola was the closest to stimulant medication. rhodiola is great (the GAIA brand is the best) but if rhodiola feel like a very light dose of vyvanse, ginkgo feels like a decent medium dose. it is that good. 120mg is what i’d take at first just to see but 240mg works well for me and you can take up to 600mg/day but i haven’t don’t that. the brand i have been using is nature’s bounty which is in a green bottle and available at most any place that sells vitamins. the second natural treatment is acetyl-l-carnitine. it is a great energy boost and is a VERY potent antidepressant (just google acetyl-l-carnitine depression). acetyl-l-carnitine increases acetylcholine in the brain, which is great for learning. when i combine ginkgo biloba and acetyl-l-carnitine, the results are just incredible. you’ve got more dopamine in the part of your brain that needs it and you’ve got more acetylcholine to help you learn and remember better. this combo is also pretty energizing so much so that when i take it i don’t need a 5 hour energy. please try this combo and let me know what you think! Thank you for your comment Adam. This is great. I’ll most definitely give gingko balboa a try. Yes, acetyl-l-carnitine is amazing as well. I have tried that one. Thanks again for contributing your awesome thoughts on this website Adam. I am 39 and a mother of three. I have always struggled with attention issues. Five years ago I was finally diagnosed with ADD. I have been on Adderall XR (10ml) on and off these past five years. I am not a fan of the withdrawal symptoms, the cost for the prescription and I have also always felt awful about ingesting a controlled substance. I really appriciated this article and I am going to try a couple of these out for a bit in hopes that I will not need to take the medication anymore. Thank you for your awesome comment Katherine! Best of luck to you!